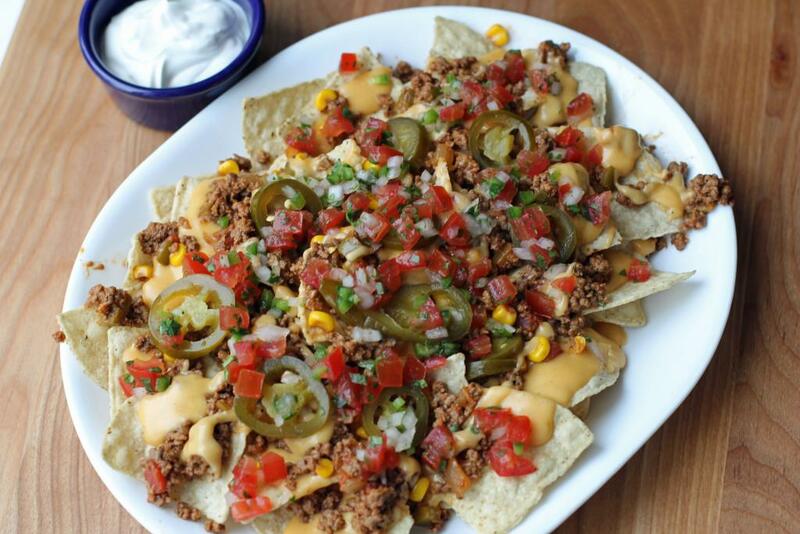 I don’t know about you, but I don’t need an excuse to eat nachos. Give ’em to me all day err day. But tonight, I am attempting to recreate the Holy Grail of Nacho Wonderland…. Distrito‘s nachos. I’ve got just about all the ingredients waiting for me at home, ready to throw together and devour later. After kiddo’s dance class. That’s too far away. In like 12 hours I will be stuffing my face with nachos. I. Can’t. Wait. Anyway. In honor of National Nachos Day, I thought I’d take the opportunity to provide you with a one-stop shop of all the nachos I’ve made for you over the past year. Aren’t I so nice? I know, you’ve just been waiting for a post like this. No worries. I got you boo. 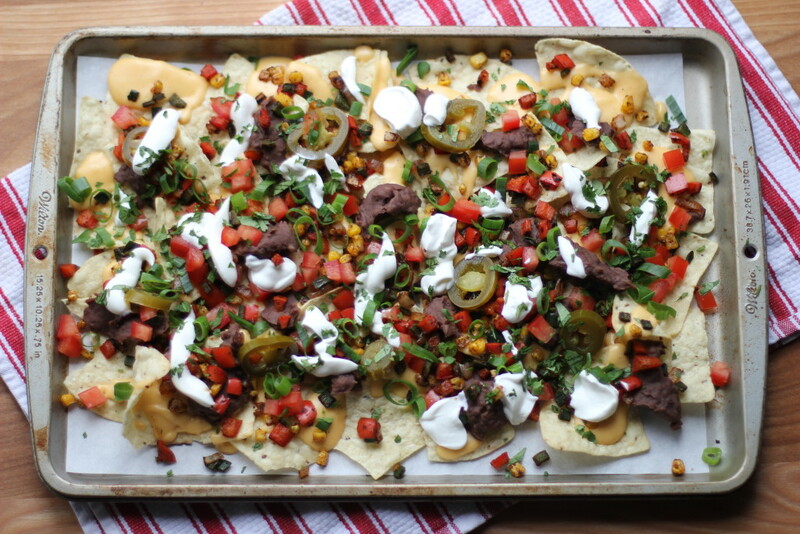 First – let’s recall my successful recreation of Blue Duck‘s cheesesteak nachos, one of the specials they had on their menu during March Madness…. Aw yeah look at her, she’s a beaut. 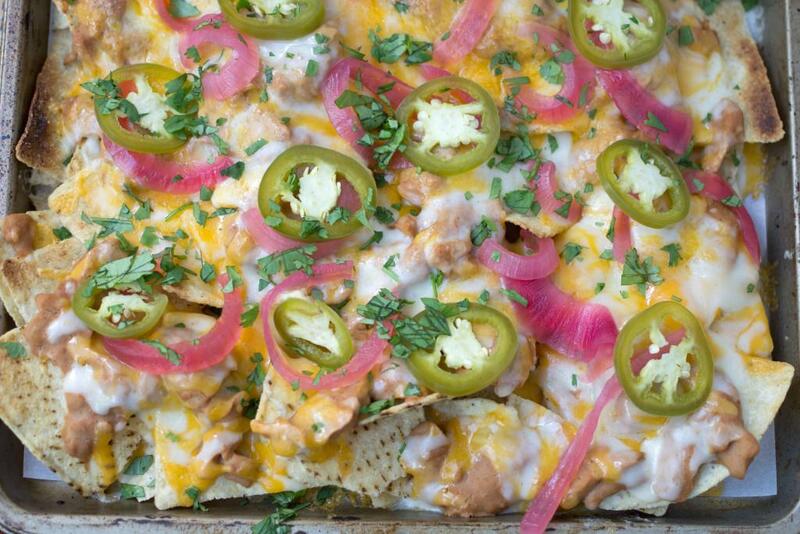 Now for some of my favorite nachos to date – my recreation of Jose Pistola‘s nachos – because come on, what’s better than pickled red onions on top of melty cheese and creamy beans?! Nothing, I tell you. They are vegetarian, so they are healthy, so sayeth the Slutty Food Blogger. 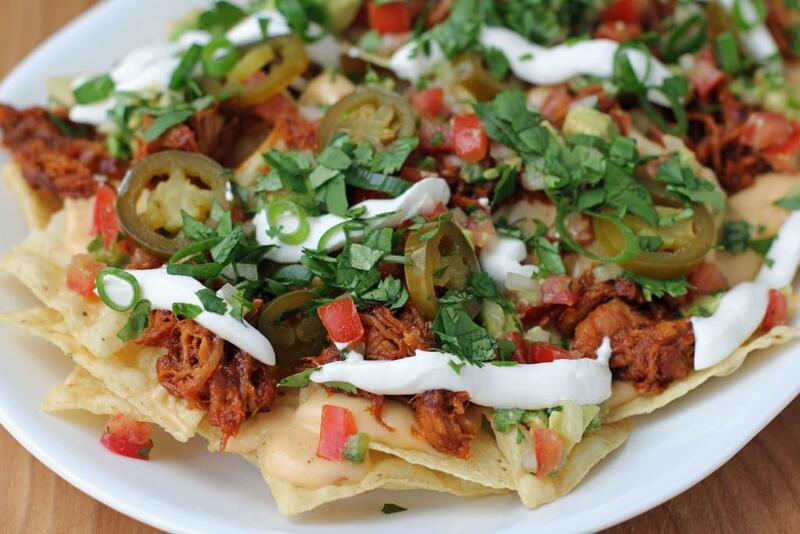 And last but certainly not least, how about some pulled pork nachos for your BBQ-lovin’ mouf? Hm? There you have it folks. 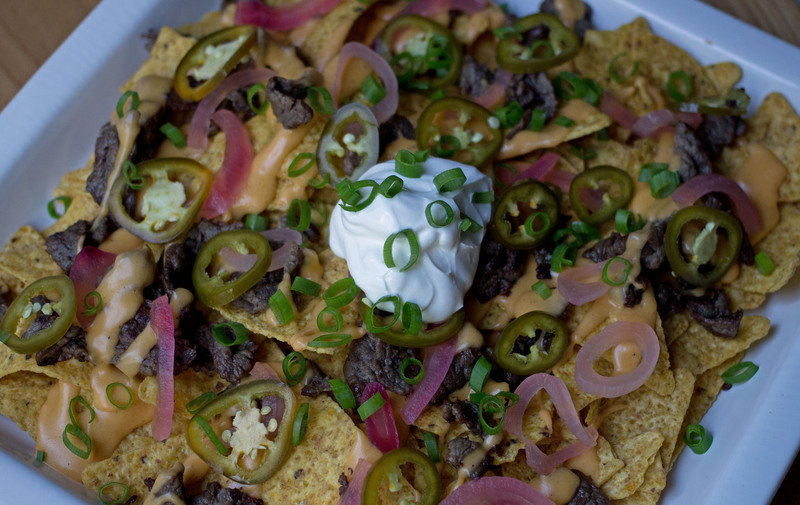 Five, I say FIVE, sluttacular nacho recipes to inspire you to make up a plate tonight and celebrate with me! I promise to take pictures of my recreation of Distrito’s nachos tonight – but they will be ugly, because it will be dark, because that loathsome time of year is now upon us, but you will see past the orange-tainted light, my friends, because I know you, and I know you can appreciate slutty food, well-photographed or not. 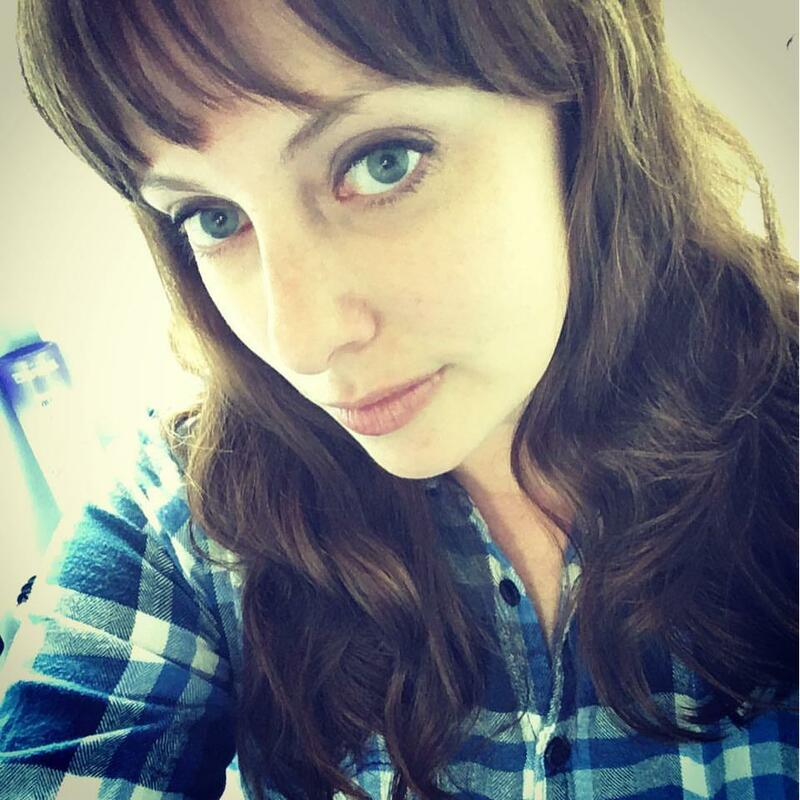 Now go forth and eat nachos.